Napa Valley On A Budget: How To Wine Taste For Free & More! Ever since watching the Parent Trap growing up, I knew Napa Valley was THE bucket list wine country spot to go wine tasting at. The allure of sunshine, vineyards, palm trees, fancy wineries, local restaurants all wrapped up with a day of wine tasting with friends is such a fun thing to do when visiting California. The problem? Napa Valley isn’t cheap to visit. I live in San Francisco and visit Napa Valley all the time these days (I’m a gal who LOVES her wine, ok?!) and when we first moved to the Bay Area, we were broke AF. So, we found ways to experience Napa Valley on a budget. I have four years of insider travel tips and tricks for drinking Napa Valley wine without breaking the bank below. Bottoms up, budget wine lovers, this post is for you! Real quick. Napa Valley is a big wine country valley with multiple little towns. There is the town of Napa but also towns like Yountville, Oakville, Calistoga, Rutherford and St. Helena and also roads like the Silverado Trail. If you are talking to someone and asking for tips on the best places to eat in Napa Valley, you have to be specific because it can take you easily over an hour to drive the length of the valley! Example: Oxbow Public Market is in Napa, a city within Napa Valley. From previous wine country trips, I knew most tasting rooms have pricey tasting fees, so I was determined to make a list of all the vineyards that offered free tastings (hey, we’re broke 20’s something here). Napa Valley is more expensive than Sonoma Valley, or even Calistoga which is the most Northern part of the wine valley. I’m talking wine tasting fees that average $30-50 per person. FOR TASTINGS! Lawd almighty, I love trying fancy cabs and pinots, but sometimes it’s hard to justify dropping hundreds of dollars a day on what adds up to less than a bottle of wine. I haven’t been to Sutter Home winery in a while, but back when we were poor and broke, we would always swing by to take advantage of a free wine tasting at this Napa Valley winery. They even always had little food and jam samples out, so free snacks ya’ll! But, one does not go to Napa Valley just to taste wine at Sutter Home and leave. It’s not the best wine and wine country trips are meant for lots of day drinking, people! Keep reading for my recommendations on affordable wine tasting in Napa Valley, if you should sign up for the Priority Wine Pass and the best wine club membership to get that gives you FREE wine tastings at wineries all over the country. Ok, let’s get this clear right away. “Cheap” in Napa Valley is very different than what cheap means to most of the country. Jacuzzi Winery: This is one of the first wineries you’ll pass on your way to Napa Valley if you are coming from San Francisco. I visited once with the family and really loved the back patio and courtyard. It has a great Italian Californian feel and has lots of outdoor seating so you can enjoy the fresh air and cheap wine tasting! JaM Cellars: A funky interior tasting room that’s near downtown Napa. They are famous for a great cab and sparkling wine. Visitors love hanging out in their tasting room and also enjoying their food, which is a rarity to find available in wineries. Frog’s Leap: This winery is actually my favorite winery in Napa Valley. At the core, it feels like home to a gal like me who grew up on a Wisconsin farm. The tasting room is held out of a beautiful farmhouse with a wrap-around porch. It’s dog-friendly (free pets!) and has plenty of lawn chairs all around the property. You’re allowed to take your glass and wander if you want! Read more about Frog’s Leap Winery and see lots of photos in this blog post of mine. Grgich Hills Estate: This winemaker was actually the OG winemaker in Napa Valley. Miljenko “Mike” Grgich, the original winemaker of this Rutherford family estate, first gained international recognition during “Paris Tasting” of 1976. In a blind tasting, the judges awarded his Chardonnay as the best, putting Napa Valley on the map. (You may have seen the movie Bottlerock based on this true story!) We visited this summer and I loved each of their blends. They put a lot of care into them and you can taste it! The best part is their outdoor terrace that’s filled with flowers and comfy chairs. Robert Mondavi Winery: This is such a house-hold winery family name that you may recognize. I went here once with friends and still recommend wine tasting here due to their massive patio/lawn area. From tables in the sunshine to shaded, cozy corners, this winery is great for large groups looking to wine taste! Markham Vineyards: This beautiful winery is filled with art galleries (and wine of course!) Visitors rave about the nice sommeliers, which makes it a great winery to visit for first-time wine tasters. Sometimes in Napa Valley the soms can be really stuck-up and snooty (it is the best wine region in the nation, after all) and it’s wonderful to find someone passionate and ready to answer all your questions! V. Sattui Winery: This place is always bumping – during the weekends they have a huge outdoor grill and they always sell cheeses and meats, so it’s a popular place to stop for a lunch or a snack. You can wine taste here, but I included this last on the list because it’s my favorite place to stop for an affordable lunch in Napa Valley! No matter if you have $10 to spend on cheese and bread, or $30 for a full stack of ribs, head here to sit out on the lawn and enjoy your food! 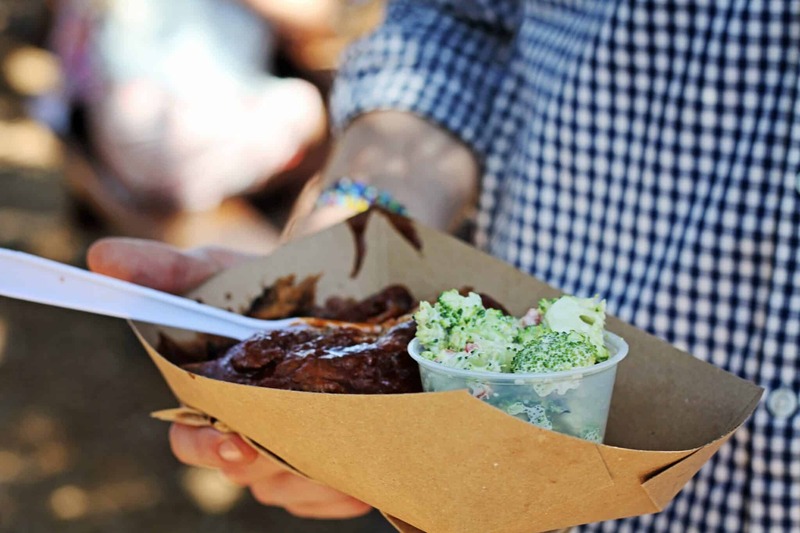 It’s a Napa Valley classic that should be on your bucket list. Pstt – the Napa Valley Welcome Center sometimes hands out free wine tasting coupons, so it’s always worth a stop at the center to pick those up! They can also help you discover things to do in Napa Valley, recommend other Napa Valley deals. They can probably also tell you other affordable wine tours in Napa Valley that I don’t know about. Should You Get The Priority Wine Pass? 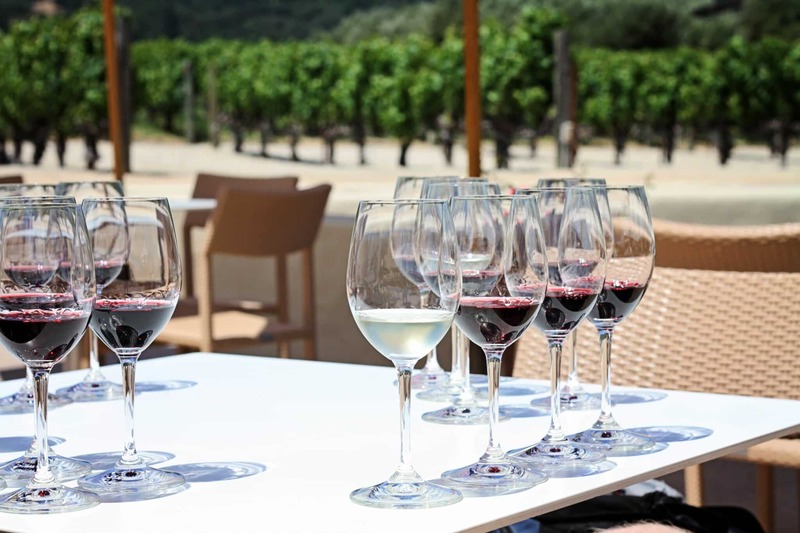 The Priority Wine Pass is a wine tasting program where you buy into a year-long pass and in exchange, you can either enjoy wine tastings for free, 2 for 1 wine tastings in Napa, or heavily discounted wine tasting fees at a lot of major wineries in the valley. When my father came to visit a few years ago, we opted to buy this wine pass so we could save a lot of money wine tasting in Napa Valley. The pass includes tasting deals not only in Napa Valley but in Sonoma, Lodi, South Bay, Central Valley, San Francisco and more. Basically, if you get this pass you can save money on wine tastings all over California! This pass is great for people who live in California or if you are planning a trip to a wine region that’s longer than a day or two so you can really get your money worth. The pass is about $120, but is frequently sold on Groupon for $40 here. For whatever price you pay for it, you’ll have to do the math yourself to see if it’s worth it. When we used it, we ended up saving more money than what we paid for the pass and I was then able to use it again the next time I went wine tasting. And now, for my secret weapon for visiting Napa Valley on a budget is – drum roll – the Foley wine club! I have to thank my friend Amy for introducing me to this wine club program as it’s truly the best wine club in Napa Valley and Sonoma! That’s a huge list, you guys! Amy did the math for me and Sebastiani is the cheapest wine club membership of that list. ($39 per shipment, 4 shipments a year.) When typical wine tastings in Napa Valley range from $20-$35 per person, suddenly $160 a year for 4 people to wine taste for free, as many times as they want, seems like a steal. I really don’t know how they can make this program possible, but let me tell you, it’s awesome. I’ve gone wine tasting for free in Sonoma with Amy and friends twice now and we’ll be wine tasting for free in Napa Valley soon. These wineries are located all over the West Coast so if you like to travel a lot, this program will help you wine taste for free all over the United States. The benefits of being a club member when visiting Foley family wineries (other than wine tasting for free!) is that they usually treat you to cheese plates or extra pours. Hello, celebrity status! Napa Valley is huge and there are so many vacation rentals and hotel options in the region. If you are trying to experience Napa Valley on the cheap, you won’t want to stay at luxury hotels like the Silverado Resort or The North Block in Yountville (a beautiful hotel, btw.) Instead, I recommend booking a cheap hotel from the list below and sharing a room with your friends so you can do Napa on a budget! Wine Valley Lodge: Located in the heart of Napa Valley, The Wine Valley Lodge is great place to stay when going to wine country on a budget. There is a cute little courtyard to sit and sip on some wine after a long day of tastings. They have a pool, free wifi, a refrigerator and a microwave! Chablis Inn: Looking for a cheap hotel in Napa Valley that has a pool AND hot tub? This is your place! Napa Discovery Inn: This cheap hotel in Napa Valley has free Wifi, a golf course, tennis court and has a great location for wine tasting. I hope this helps you plan your Napa Valley on a budget trip! It’s normal for people to visit 3-4 wineries a day, so if you want to try Napa wine without spending hundreds of dollars, this guide will help you find affordable ways to have fun. If you are flexible in location and looking for a much more affordable wine tasting experience, I highly recommend not going to Napa Valley and instead visit Sonoma Valley, Healdsburg or even Alexander Valley where the wine tastings average $5-10 a person! Swing by that Napa Valley Welcome sign for a photo but head to a different valley to save money. If you have any more questions or insights to add to this post (I can only visit so many wineries myself as there are hundreds!) please leave a comment below, or DM me on Instagram @thewhimsysoul and I’ll try to help you! I felt like i was there reading this. I loved your story, thanks for sharing. I love this. My husband and I planned on doing this for our 10 year anniversary last year but I got pregnant right before and was very sick. This year we want to try but we have a baby that we can’t leave. Are wineries usually ok with babies? Or is it a no no? I just went to a winery yesterday where a couple had their baby! Most people don’t care and every winery has a bathroom if you needed to pop in to breastfeed or anything. Hope that helps! This is PERFECT! My husband and I just moved from Pennsylvania to Northern California, and we are visiting Napa for the first time this weekend. This was a simple, budget-friendly, perfectly-broken-down plan to use for our day trip on Saturday. Thank you SO much for the insight!